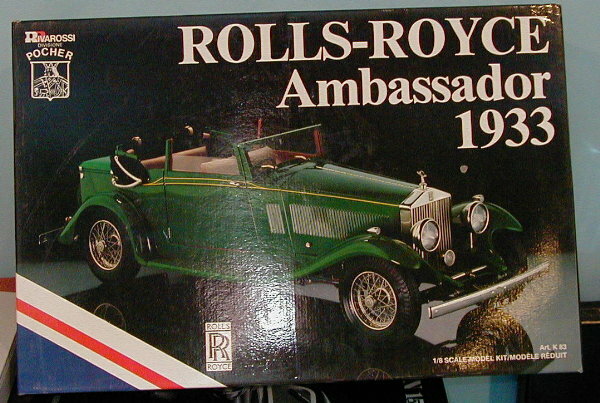 Pocher K83 Ambassador Rolls-Royce 1/8 scale model kit! The Rolls Royce Ambassador kit is the latest iteration of the Rolls-Royce models from Pocher. The instruction booklet includes pictures that help the builder, as compared to the earlier instruction booklets that contain only drawings. This model includes working headlights, windows, hoods and doors, steering, and engine parts.